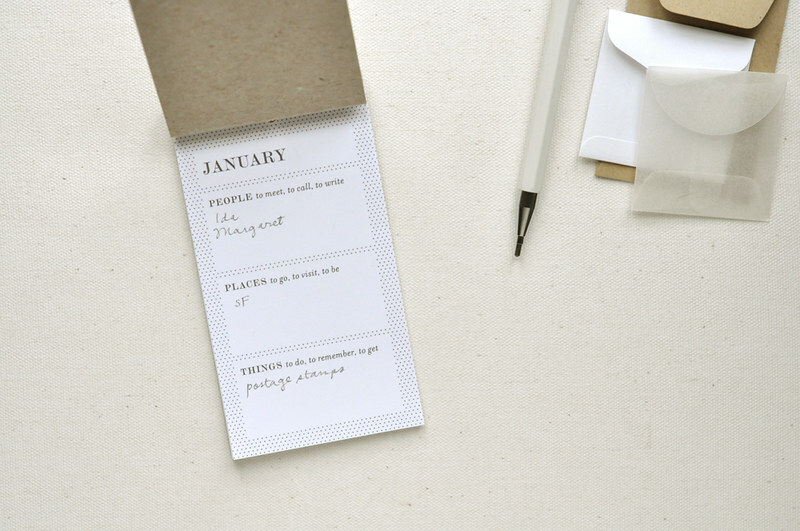 Presenting the paper space for listing what to remember by month. 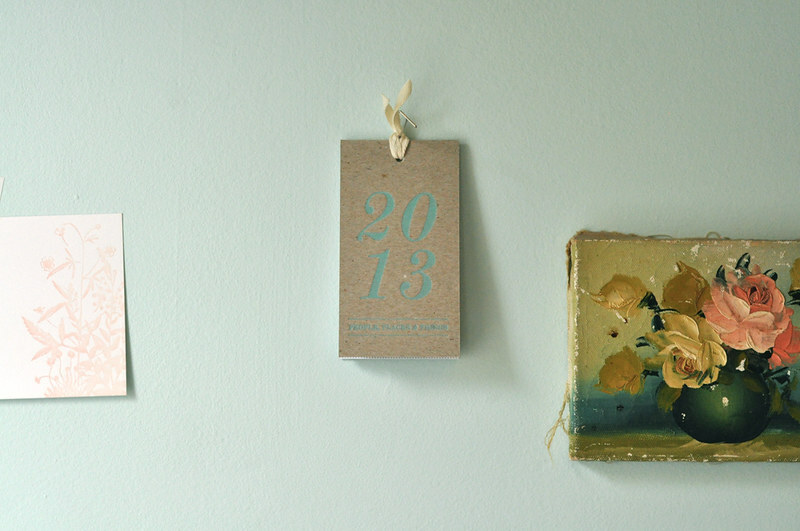 Paper & Type’s 2013 Pocket Calendar is the gentler and littler cousin of the more meticulous Perpetual Planner. Keep track of just the important people, places and things in a broader manner: the friends to call on, restaurants to try, and goals to reach. It’s sized to fit most pockets. Pick yours up from the shop. You may choose from gray and mint covers (letterpress printed with care by Presshaus LA).